Coaxial cables, as usual, have to mend, to build, equip connectors. The need to implement these operations occurs when the cable breaks, are connected to move it to another location, connecting new devices. If the cable needs to be strengthened, get an additional cut necessary length. Its impedance should be the same as at the existing cord. 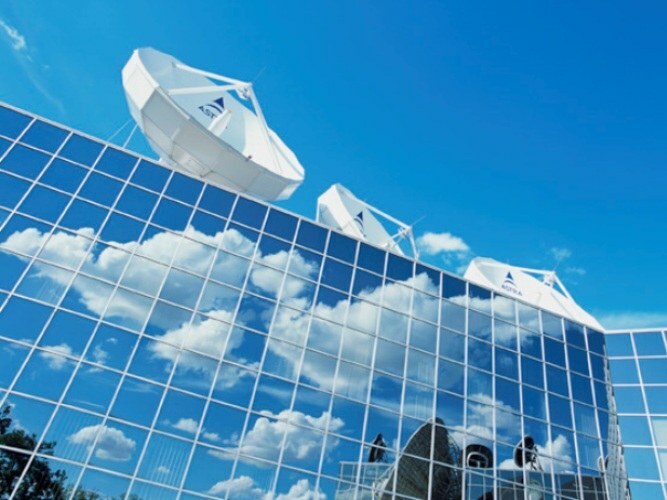 If this option is available cable is unknown, should be guided by the rule: television antenna connected by a cord with a characteristic impedance of 75 Ohms antenna radio range of si-Bi - cable with a characteristic impedance of 50 Ohms. The same characteristic impedance are cables for computer networking an obsolete standard (today such networks are practically out of use).The thickness of the cable is selected depending on its purpose. Apply a thick cord is needed in two cases: large length (to reduce fading) and large power of the transmitted signal. If at least one of these conditions is observed, the cable should be of large diameter. Before performing any operations with the cables must be disconnected from the network all connected equipment. Many devices have capacitors connecting the common wire with one of network wires. In this case, if you grab both, braid or center conductor of two cables or two ends of one cut cable,you can get a painful shock.Even turning off all the equipment before simultaneously touching the two conducting parts of cables in any combination, make sure there is no voltage between them using an AC voltmeter. If the cable leading to the transmitting device (e.g. radio standard si-Bi), you should also ensure that no high frequency voltage by means of the wavemeter. Even at low power, the impact of such tension on the skin can cause burns. To splice the cables by twisting or soldering can be used only if the connected instrument is not transmitting, as this connection is deteriorating ratio of the standing wave that threatens transmitting equipment failure.First, strip both cables. Make a longitudinal incision on the outer insulation, braid rasplatita, then pushing it to the side, twist. Then with wire cutters, remove the insulation from the Central core.Connect the braided single cord with the other braid, then do the same with the Central conductors. In any case do not short-circuit between the braid and inner core. If soldering is used, perform it quickly so as not to melt the insulation of the Central core, which also threatens to short.All connections are thoroughly insulated. To a much lesser extent modifies the standing wave ratio when connecting coaxial cables with connectors. They are of two types: F (TV) and BNC. For transmitting equipment only suitable the second. 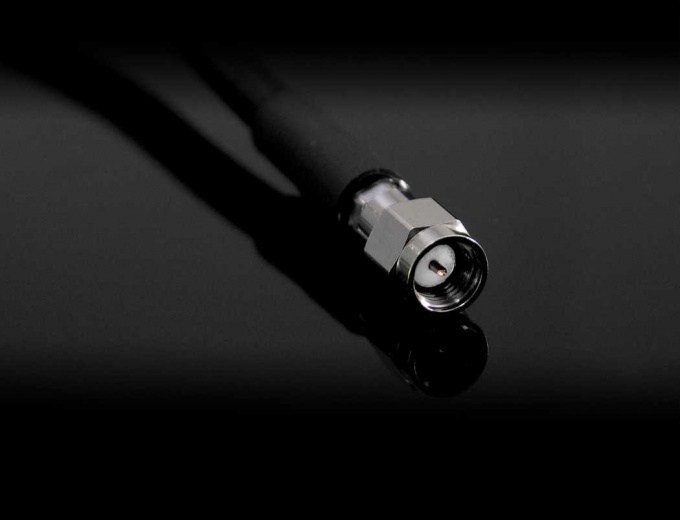 They, in turn, must have the same characteristic impedance as the cable, and therefore is available in two versions: and SR50 SR75.For connection cables with connectors purchase the plug and the socket are of the same standard. Better if they are designed for joining without the use of solder, to avoid the risk of short circuit from melting the insulation of the Central core.Attaching to one end of the cord into the plug, to another socket, connect them with each other. If the connectors have exposed contacts (normally in this version are available outlet), isolate them. If the instrument is used together with the cable is transmitting, be sure to check with a meter standing wave ratio, it did not work if the setting is within the permissible limits. After that proceed to the use of the equipment. Digital image transmission has many advantages over analog devices, but has its own characteristics. The fact that a coded image of a normal analog TV will not accept. Therefore the antenna to a normal TV to this method of broadcasting will have to connect via set-top box decoder. Connect the antenna to the decoder. Typically used to receive the UHF signal antenna should be inserted into the slot on the rear panel of the decoder. Depending on the model of the device socket will be marked "Antenna" or "Ant". If the same antenna you plan to use for broadcasting normal (analog) TV, connect using a special cable or antenna extension cable connector on rear panel Ant. out." ("Ant. out") to the antenna input of a television receiver. In the absence of the decoder such possibility of connection, use the divider signal (antenna splitter). The next step is the connection of the decoder to the TV. The connection can be made at a low frequency using a special interface or a high frequency. In any interface, first switch the television receiver to the corresponding video mode that the signal did not come from antenna input and relevant video input. To switch use the button on the remote control of the TV or on the front panel of the device. Usually it is denoted by "Video", "AV", "AV/TV", etc. If your TV has multiple inputs, repeatedly press the appropriate button or select the desired mode from the menu, following the instructions to the TV. Connect the decoder to the TV at a low frequency trigger via cable with three connectors ("tulips"). Turn one end of the cable into the decoder, the color of plug should match color of socket. The second end of the cable turn on the TV. Connect the decoder to the power supply. If no indication check in what position is the switch on the body of the decoder (on the rear panel near the power cord). With proper decoder on the front panel you will see the corresponding indication. Now the antenna is connected through the decoder. Configure the connection, switch your TV to the appropriate video mode. Setup can be done from the control panel via the context menu or buttons on the control panel of a television receiver. 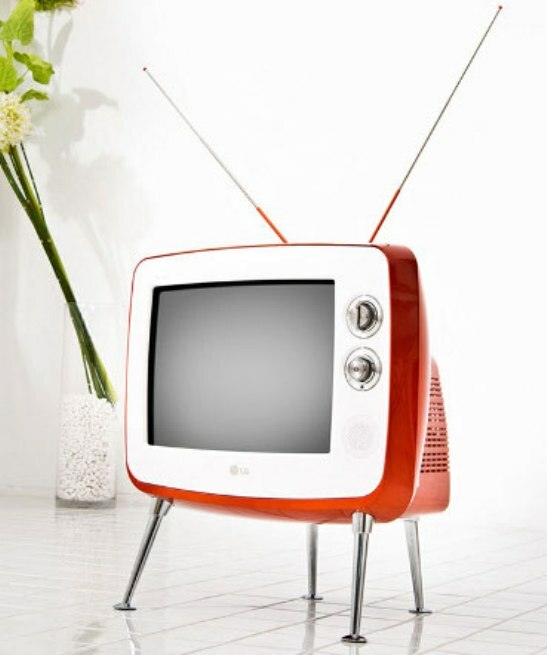 To make a high-quality television signal, you must connect your TV antenna to the TV. Connect the cable with the television receiver by using a special antenna plug. Obtain and organize the tools and connectors for connection to a television receiver. Using long-nose pliers, align the edge of the cable. Observing the precautions, carefully cut the outer 15 mm of the cable insulation. Do not damage the wires between the inner and outer insulation. Carefully turn them back, then remove the foil around the insulation of the inner part of the cable. Also carefully remove 10 mm of insulation around the inner core of the cable. Make sure that the many cores of the windings not touched her, otherwise the signal quality will deteriorate significantly. Purchase in any store of electronics F-connector. Unscrew it. Insert the prepared cable into the connector, called "dad." The outer coil thus pressed against the housing F connector. Internal lived fall in the protruding part and will look out about 3 millimeters. If lived will interfere, it can bend. Clamp the cable clamping ring. Connect the connector to the antenna Jack of the TV. You can also purchase a plug with fixing cable by means of soldering. In this case, use a soldering iron and solder. Observe measures of fire safety. You get it in a well ventilated area. Hot soldering iron, use a special non-combustible stand. Do not leave the soldering iron plugged in, on the table. Prepare the cable as described above. The outer shell collect in the form of a beam with one hand. Carefully solder the inner conductor to the Central part of the connector and the coil twisted together, to the exterior. Check out the places spikes on the availability of the circuit. Eliminate them if necessary. Wear insulated bezel and connect the plug to the TV. Connecting to TV, terrestrial antenna is carried out using a special cable. In this way without significant costs can be connected to the antenna to several TV receivers. The cable connection should be carried out respecting the rules of switching of electrical appliances and using the technical documentation TV wiring diagram. When unstable or not strong enough signal to use when connecting the cable to the antenna amplifier. To connect multiple TV receivers prepare well in splitter (scrub). Amplifier, splitter and antenna cable install in the vicinity of the television wiring. In a private house to do it in the attic. In the absence of the television transactions route the cable directly to the place where you will install the TV. When mounting the cableand guide it outside the wall or attach to internal communications, indoors, hide under the baseboards. The output of the cable coming from the antenna, and connect to the appropriate terminal of the amplifier. From it the signal supplied by the divider directly joined by television receivers. When using a satellite antenna, use an intermediate device receiver. The cable in this case connect directly to the receiver through the antenna Jack. Before connecting the cable to the antenna prepare it for connection. Incise the upper braided cable with a sharp knife or scalpel approximately 40 mm from the end. Bend is located under the braided screen, bare next insulating layer. Remove the severed portion of the second insulating layer, leaving exposed copper wire. Strip mine the tip of a knife and cut to the required length (approximately 20 mm). Screw the lower part of the collapsible plug on the braid, pull the core of the cable inside the plug. Insert the bared vein during the second part of the plug and screw both parts. Gently remove the braid of the antenna cable. Cable ready to be connected. Before turning on the television receiver carefully check the connections of the switching devices and the reliability of fastening of plugs in sockets. If the screen displays a weak signal or interference in the form of ripples, adjust the antenna amplifier, guided by the attached technical documentation.